from your critical business events. to powerful new business insights. required for modern, event-driven systems. Pronto is a next-generation, real-time event management platform that enables your digital transformation initiatives. 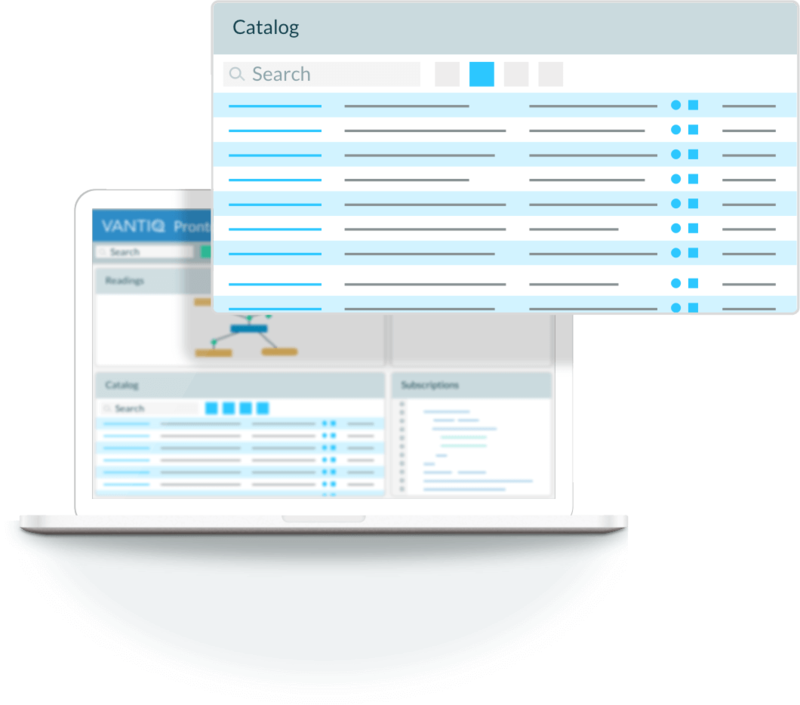 Pronto is the only advanced event broker that combines high-productivity tools with a Dynamic Event Catalog™ for easy discovery and re-use of event streams across enterprise applications. from any and all sources. As your organization generates numerous events from IoT sensors, AI analytics, image recognition services, and various messaging platforms or standard event brokers such as kafka and MQTT, you need to share, secure, govern, and integrate them across multiple applications and services. Pronto simplifies this process with high-productivity tools. 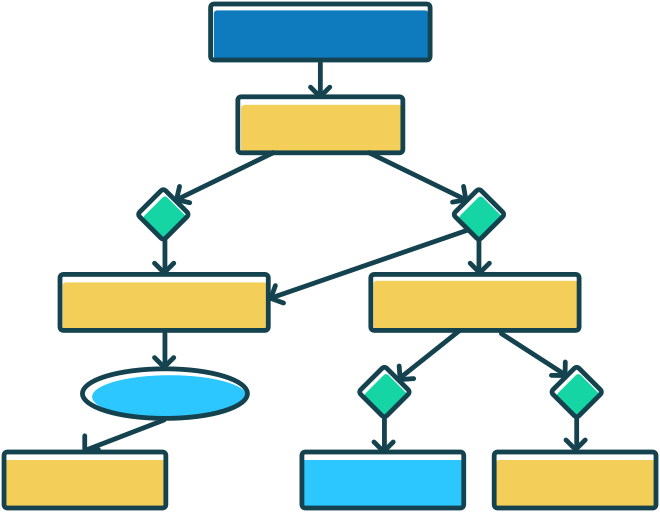 Decentralize your event processing so there is no single point of failure. 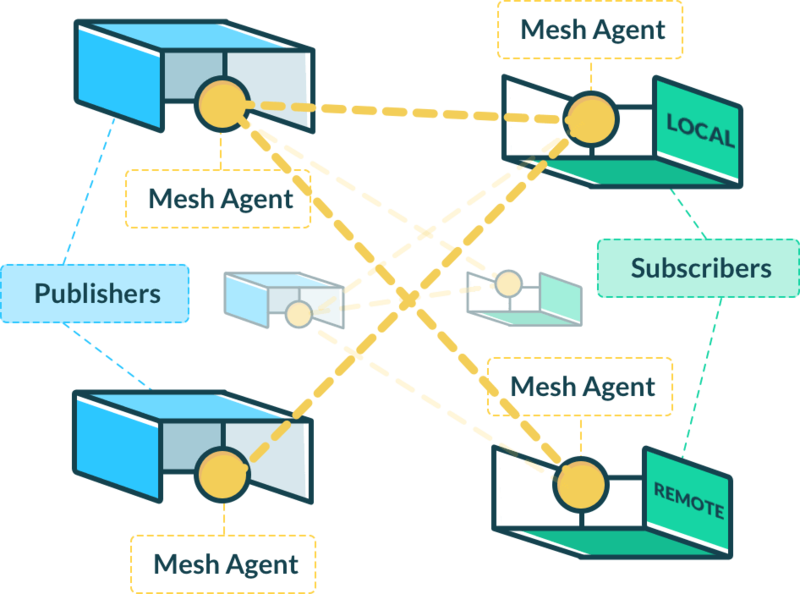 Pronto Dynamic Event Mesh™ deployment at run-time ensures there is the most efficient communication between an event publisher and subscriber. Processing is truly distributed without the need for a centralized broker. Event delivery is optimized to ensure speed, security and reliability. 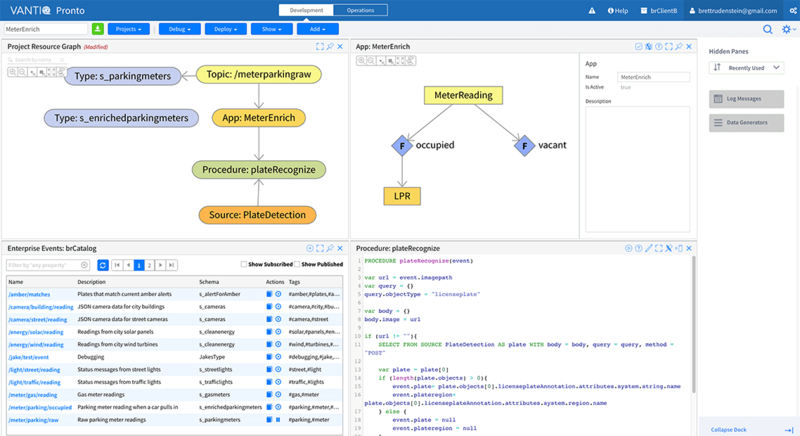 Advanced high-productivity tools simplify complex processing of events in real time. 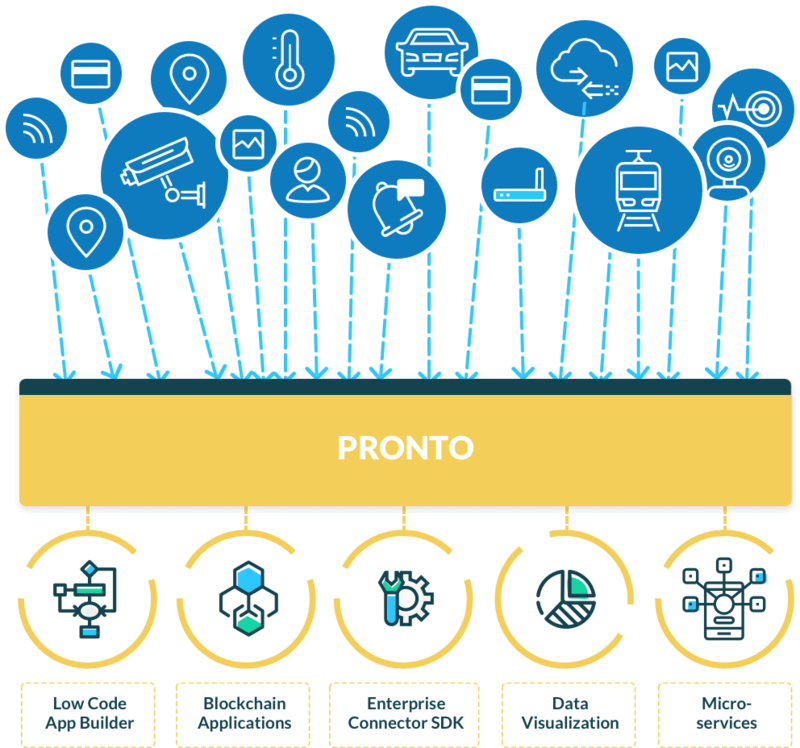 With Pronto, events can be analyzed independently, in streams, or combined with other events or information from external services, to achieve new business insights. Pronto leverages VANTIQ’s advanced low/no-code graphic interface for rule processing to make it simple and quick for any kind of event augmentation or processing. Start responding to your business events in real time! 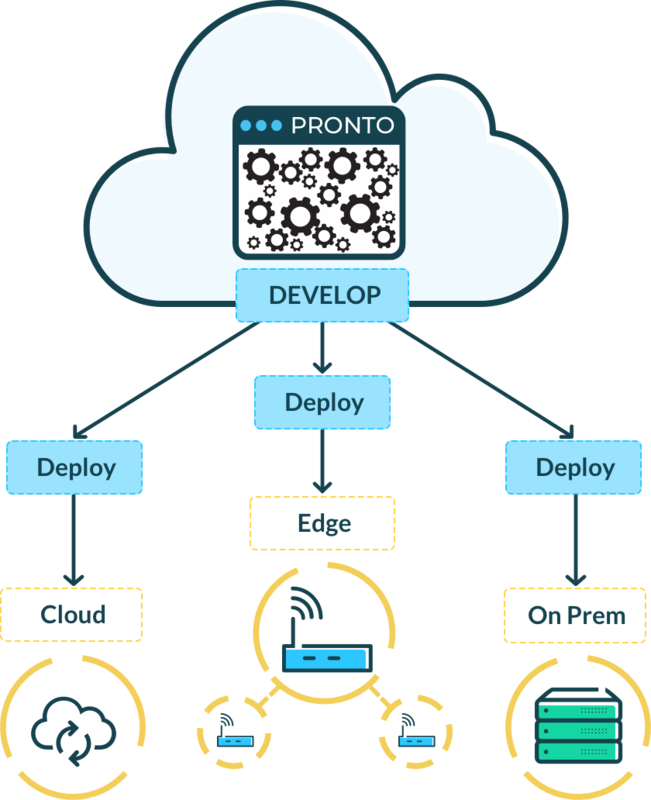 Pronto can run anywhere that fits your needs with a fully managed Cloud Edition (compatible with AWS, Azure, and Alibaba Cloud), Server Edition for private cloud applications, and Edge Edition.